"New Moon Rugs has impeccable customer service and the quality of their rugs is outstanding. I will only buy New Moon Rugs from now on." “Our experience with New Moon Rugs has been absolutely wonderful; they have a ‘soul’, one that is personable, responsive and caring. They have something for every style interior even while their designs maintain timelessness. That’s one sophisticated, elegant product. "Read your email showing the Spring Collection with the newest designs and colors, and I must say they get more beautiful every season. It is a treat for the eyes to witness such creativity. I often try to imagine what a room would look like featuring one of your new rugs (I must admit to lusting after a few of them). I introduced my sister to the collection on your design studio website. She found a rug that would be perfect for their new master bath. If she's lucky it will still be available when they've reached the final stage of re-modeling. If not there are many others that will be suitable. Just wanted to compliment all of you at Kurtz for your designs, color selection, and quality. Just beautiful." 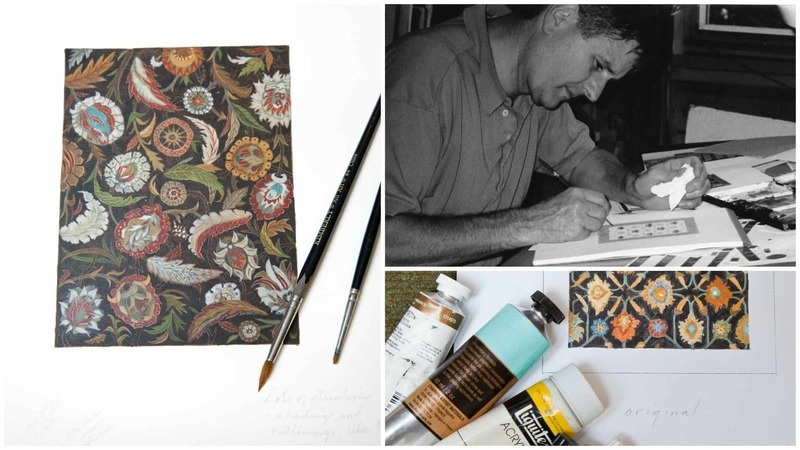 John Kurtz, artist and renowned rug historian, has a love and appreciation for beautiful things, and for the way in which beautiful things are made. As a painter, he trained at the Pennsylvania Academy of the Fine Arts and the Accademia di Belle Arti in Florence. For the past 40 years, he has nurtured and deepened his passion for the world of handmade rugs. Starting out as an antique rug collector and dealer in the living room of his home, and later moving into a gallery where his business grew for 20 years, John enthusiastically searched for and found beautiful antique rugs and shared them with collectors from around the world. Early on in his career he was inspired to bring the wonderful art of rug weaving to an even larger audience. He did so with his popular PBS television series Art Underfoot, which ran from 1988 to 1992 and then again on HGTV, introducing millions of viewers to the world of oriental rugs. 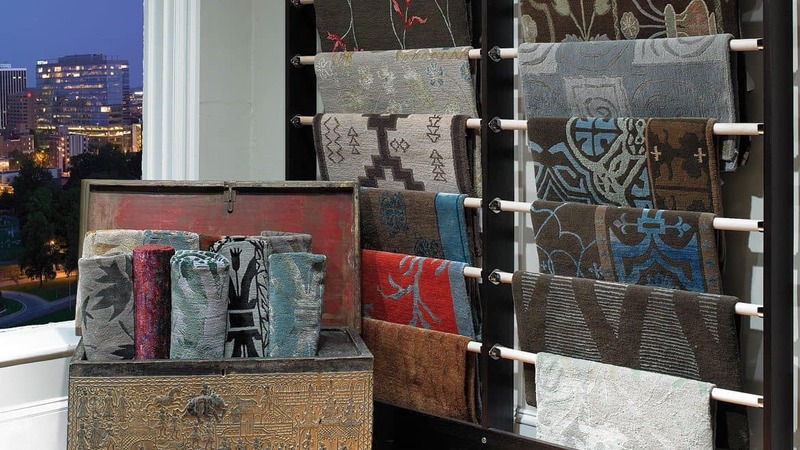 In 1993 John began fulfilling a desire to have an outlet for his own creative process by taking his more than 20 years of experience in dealing in antique rugs to create original designs under the New Moon label. After discovering an extraordinary partner in Nepal with whom he could make this vision a reality, New Moon was founded. Since the inception of New Moon in 1993, John has been uniting his dedication to the highest standards of craftsmanship and design with his commitment to socially responsible business practices. With the aid of his partners in Nepal, he not only creates a collection of rugs unequalled in quality but also a company known for social and environmental responsibility. Since 2004, John’s daughter Erika has guided the production and increasingly brings her design talents to the next generation of New Moon. Daughter Josephine joined the firm in 2008 and brings her Art History/Architecture background to New Moon’s design focus. Along with John’s wife Ellen as the doyenne, New Moon is truly a family business. The other side of New Moon is that which is found on the opposite side of the world in the small and fascinating country of Nepal. It is here that New Moon’s artistic vision takes form through the ancient craft of rug weaving. Early in the evolution of the Tibetan rug industry, John was invited by the United States Agency for International Development to travel to Nepal. John was asked to advise the rug industry there on the ways to best capture a larger share of the U.S. rug market for Nepal. It was during this time that John began exploring the idea of creating his own line of rugs, and envisioned Nepal as a possible home for the production. Two main business goals became the focus of his attention during the brainstorming for New Moon – the artistic integrity of design and structure, and the integrity of the culture in which the design would be transformed from a painting into a work of art for the floor. John envisioned that New Moon would help to create a standard of business ethics yet to be equaled in Nepal. The rugs would be made with the integrity and social responsibility John was unwilling to compromise on in order to make his dream a reality. Since its inception, New Moon has been successful in aiding a larger social movement to change the rug industry of Nepal. It has done this by advocating that the standards created for its own production become a part of the standards for the entire industry. By encouraging, supporting, and funding the establishment of Goodweave it has further changed the industry by working to eliminate child labor in the rug industry. New Moon makes beautiful rugs that not only change the look of your home but also change the lives of individuals half way around the world. 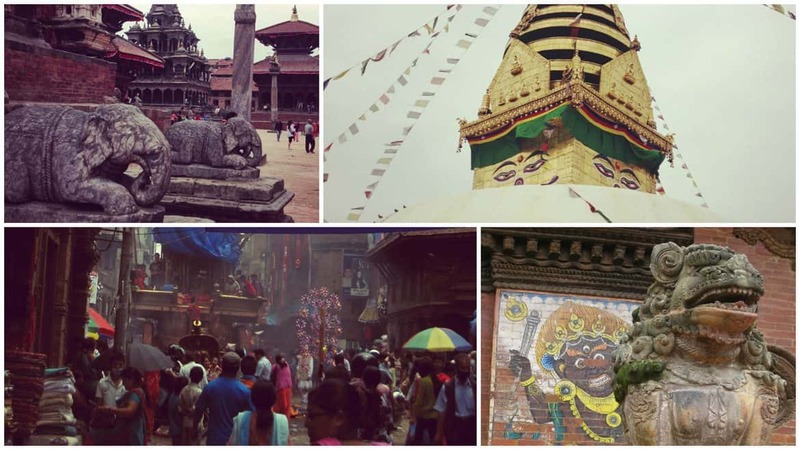 New Moon workshops in Nepal are well-known as a world-class model for responsible business. Frequent foreign visitors, from the UN to various human-rights groups, testify to the impact New Moon has made. Our commitment to the highest standards of working conditions is demonstrated by our long-standing and internationally-recognized commitment to the fair treatment of employees and socially responsible business practices. Offering the highest standards of responsible design and workmanship, New Moon strives to carry forward the thread of one of mankind’s oldest art forms without being merely imitative and without compromising quality or social responsibility. Unlike almost all of the rugs now coming from Nepal, New Moon continues the age-old traditions of true Tibetan weaving– no shortcuts, no compromises. In New Moon’s traditional “crossed” weaving, each successive row of knots is locked into place by pulling alternate rows of warps forward on the loom, passing the weft between the separated warps and pounding down tightly. This process is more difficult, more time-consuming and a bit more expensive. But it is also the only way to make a truly lasting rug. “Crossed” weaving forms an interlocked foundation, over and under like a tennis racket. These are the true “lifetime rugs”, lasting for generations. In comparison, rugs woven in the “uncrossed” fashion are literally hollow. There is nothing holding their foundations together. The knot count states how many individual knots of wool are found in one square inch of a handmade rug. In essence, the knot count defines the rug’s fineness. A higher knot count allows for more detail in the design while also providing a finer rug texture than that of a lower knot count. You can physically feel the fineness of a rug when you grab it and try to bend it. A Tibetan rug with a very high knot count and crossed foundation will bend quite easily. You can actually take a section of a finer rug and crumple it into one hand much like you would with a towel. You can be confident that the knot count of a New Moon rug is accurate. Unlike many others, we do not exaggerate the number of knots so you can be certain that you will find 100 knots per square inch in one of our 100 knot rugs. After the weavers finish weaving a row of knots, the alternate warp shed is pulled forward and the weft is passed through, then pounded down hard on the row of knots. This takes time and is hard work but it is essential for strengthening the foundation of the rug. New Moon weavers pack each rug very tightly in order to strengthen the rug and offer the durability necessary for it to last generations. Tweeding creates a complexity of color that gives a rug depth and vibrancy. The process of tweeding is labor-intensive and time-consuming. The dyed wool, which has been spun together with three plies of wool into miles of twisted strands, must all be pulled apart. Then one ply of another shade is placed together with two of the original-color plies. The combination of plies is then once again twisted together. The majority of New Moon rugs are enhanced by this technique, but it is a process that takes much longer to do. New Moon offers an unprecedented number of colors in its rug designs. Most Tibetan rugs might have an average of 5 colors in a rug whereas New Moon has averages from 12 to 25, with the most complicated pieces having up to 126 color combinations. Strong chemical washes strip the wool of its natural lanolin. The wash creates an immediate shine but only at the expense of the wool, which has been stripped of its natural lanolin and weakened by the strong chemicals. New Moon rugs are not washed with harsh chemicals. Rather, their beautiful shine naturally reveals itself over time after being polished through the exposure to light, air and, of course, passing feet! Unlike most others, which dull over time, New Moon rugs grow more beautiful with the passing years. New Moon rugs are made with the highest quality of Tibetan wool available. This wool comes from the sheep of the Tibetan plateau raised at an altitude of 14,000 ft. Long fibers, high lanolin content and the unique physical structure of Tibetan wool makes it the ideal choice for rug weaving. Due to the complexity of the designs, New Moon weavers are the most highly skilled weavers in Nepal, as well as the highest paid. Because of the skill and time it takes to weave a New Moon rug, weavers are paid more and thus are not forced to work longer hours to make a fair wage. 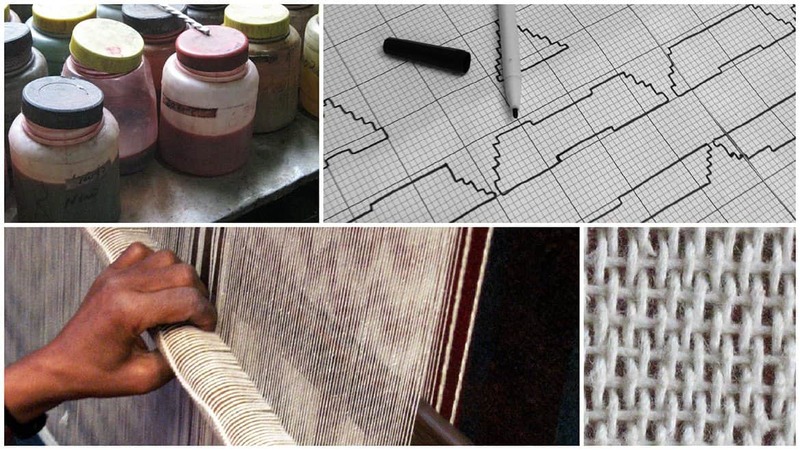 Instead of the computer-generated graphs used by many producers, which make for uniform, mechanical-looking rugs, New Moon creates each graph by hand. Highly skilled artists translate original paintings into knot by knot graphs, which accounts for the “one-of-a-kind” beauty and vitality of each New Moon rug. At the present time almost all rugs coming out of Nepal, in all knot counts, are employing a “shortcut”. They are not “crossing” the warps between the rows of knots. This creates an unconnected foundation. These rugs do not have the same strong foundation of a crossed-woven rug. To all appearances, an “uncrossed” rug can be a sophisticated wool and silk, 100 knot rug that is supple to the touch. However, though it may appear similar on the surface, the “uncrossed” rug is lacking in its structure and integrity. Because on the surface they appear the same, the customer is unable to tell the difference between a ‘crossed’ and ‘uncrossed’ rug. Only by asking can you find out if you are being shown a “crossed” rug. ALL New Moon Rugs are created using crossed weaving, so you get the best quality possible and peace of mind that your New Moon Rug will last. Goodweave is a global nonprofit organization working to end illegal child labor and offer educational opportunities for children in India, Nepal and Pakistan. 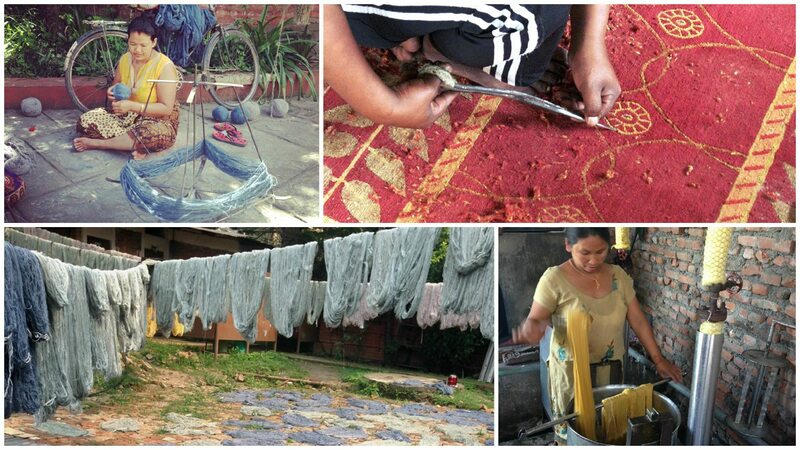 New Moon, as a founding member, was at the forefront of the establishment of Goodweave in Nepal. Every New Moon rug is tagged with the Goodweave label, assuring the customer that no child labor was employed for its manufacture. One of the most noticeably exciting and impressive differences of New Moon’s production is the almost all female-employee environment. 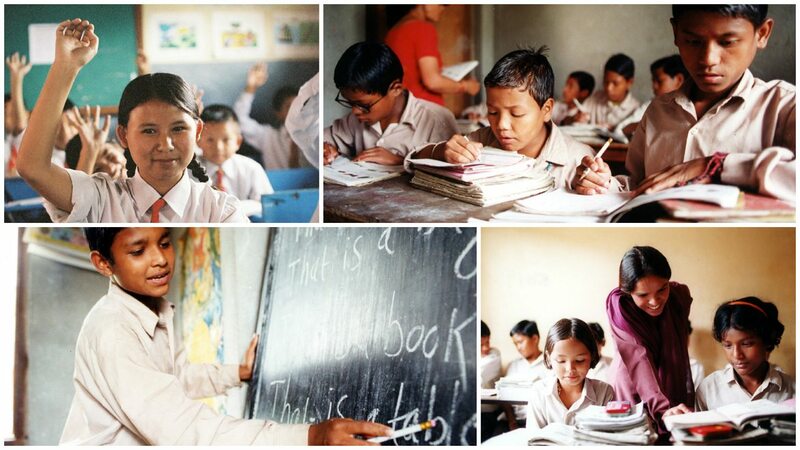 New Moon takes seriously the responsibility of empowering Nepalese women through employment. In doing so, New Moon has helped women overcome the difficulties they face from their Nepalese culture. Working outside the home enables them to support their families financially and contribute to the strengthening of the struggling economy of Nepal. However, the obstacles women face in entering the workforce do not end with attaining a job. Rather, a new dilemma is born as mothers struggle to be both job-holder and mother. In an effort to be both, female weavers often are forced to neglect their young children when they bring them to work. Understanding the problems mothers face, and that a factory is not the ideal environment for young children, New Moon has day care facilities on premises where the children of weavers can learn and play in a healthy and supervised environment. Once these children are of school age, New Moon assists the mothers in entering their children into school through financial support. By investing in the weavers’ children they help to create a more stable and healthy life for the weavers’ families and establish a stronger foundation for the future of the family and society. A higher knot count does not always equate to better quality. Quality is primarily determined by the caliber of materials used and the craftsmanship and skill used to tie each knot. Rugs with a higher knot count are more expensive since more materials are needed. The plies of wool or silk get thinner as the knot count gets higher. Labor is also more expensive since there are more knots to be tied. Knot count is measured by the number of knots per square inch. To measure knot count, simply take a ruler and a fine pointed instrument and map out one inch horizontally and one inch vertically. Rugs tied with a Persian or Tibetan knot generally have a “depressed” warp, so only ½ of the knot shows on the back horizontally. Each warp counted horizontally multiplied by the number of knots vertically will give you the overall knot count. “Crossed” weaving was always the traditional foundation used in Tibetan weaving since the beginning of rug weaving. “Crossing” the warps creates a virtually unbreakable foundation, assuring generations of wearability. There is now an alternative method of constructing the foundation – a shortcut that does not “cross” the warps. As with most things, the traditional method is usually the better choice, even though it may be somewhat more costly and labor intensive. A rug is only as good as its foundation. Not all materials are created equal. In Tibetan weaving, look for all Tibetan wool – by far the best quality wool, not to be confused with less expensive, shorter-staple New Zealand wool. Chinese silk is also considered more desirable than Indian silk. Finer quality material leads to a finer quality rug. Hand-carding and hand-spinning add to the quality of the finished rug. When deciding on a rug pad, we usually advise against rubber, foam, jute or hair fibers. All have a tendency to degrade over time and can sometimes cause damage to hardwood floors. Thicker is not always better. A pad with too high a profile can cause a tripping hazard. We recommend an open-weave PVC material which doesn’t degrade or damage floors. New Moon carries their own brand endorsed by owner and rug expert, John Kurtz. Although it may create an instant shine, the strong chemical washes given to most all new rugs strip the wool of its lanolin, which is a natural stain repellent. New Moon rugs, when new, may not appear as shiny as some others, but there is a reason for that. New Moon rugs are not given harsh chemical washes. The natural patina reveals itself after a few years of exposure to light and air, actually improving with age. With a bit of care, a rug washed only with soap and water will improve with age, developing a soft, silky patina. The first line of defense against soiling is the vacuum cleaner. Rugs should be vacuumed thoroughly and fairly often, and if the rug is small enough, occasionally turned over and vacuumed on the back. To clean the foundation, turn the rug face down, and use an upright vacuum with a beater bar. Using the beater bar on the back of the rug will beat out the grit from the rug’s foundation. Vacuum and then fold the rug back and vacuum up the dust that will fall to the floor. Repeat the process until no more dust comes out of the rug. When vacuuming the top of the rug, use the soft brush, or smooth head only; the beater bar is unnecessarily harsh for the pile of a hand-knotted rug. With rugs that are washed without chemicals (like New Moon’s), the natural lanolin remains in the fibers and most spills will bead up and can be removed easily with a paper towel if caught quickly. If a stain has the chance to soak in, plain cold water can be used to saturate the spot and the moisture can be blotted up with paper towels. When drying, the rug should be lifted enough so that it can air dry from both the top and bottom. 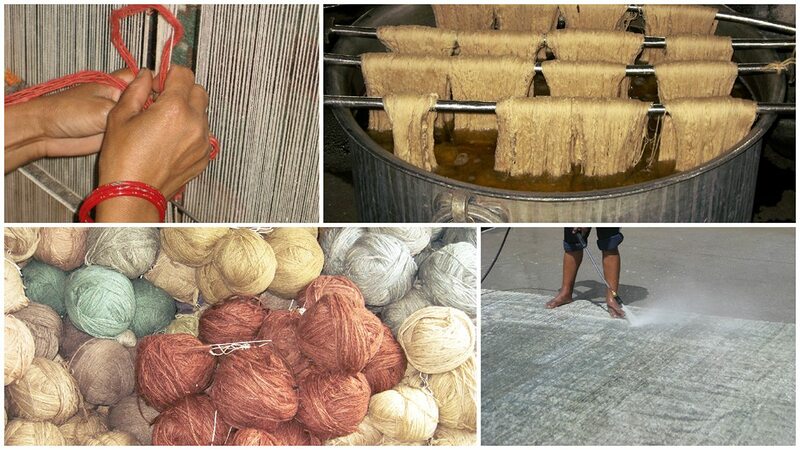 Do not use chemicals on a fine, hand-woven rug….soap and water goes a long way! For detailed stain removal, consult a professional as soon as possible. For professional cleaning, rugs should be hand-washed using only soap and water or mild detergent. A reputable cleaner that deals with fine antique rugs would be likely to provide hand-washing.